Even as government statistics show that over 90 per cent child-births in the state are now done in medical institutions, an emerging section of women in Mumbai is going back to traditional methods. Aloka Gambhir with her son who was born at home. She delivered at home, amid family members and not strangers, just as she wanted. There was no doctor, just two midwives. 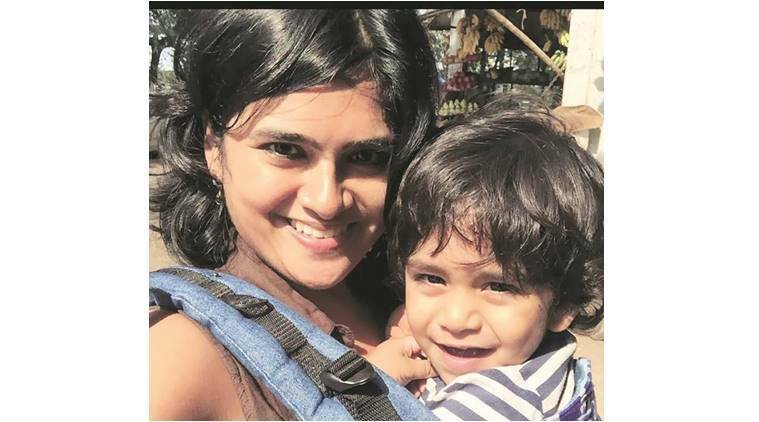 For Andheri-based Kanika Aswani (32), birthing at home was the most “amazing” experience. Even as government statistics show that over 90 per cent child-births in the state are now done in medical institutions, an emerging section of women in Mumbai is going back to traditional methods, giving up hospitals and choosing midwives to deliver their babies at home. Aswani visited a multi-specialty in Andheri West for sonography and regular check-ups during her pregnancy but found two midwives in the last trimester to help her deliver at home. “I had heard a lot about how the process goes in hospitals, the scare of caesarean operation, of being put on IV fluid and the way the procedure is undertaken. Birthing is the most natural process. But in a hospital, you are made to feel like a patient as if it is a disease to cure,” she said. Though the numbers are small, Ruth Malik, founder of NGO Birth India, said the reasons for women to choose not to visit a hospital for delivery are diverse. Birth India has recorded at least 37 such women who delivered at home in Mumbai in recent months. “Some found the experience traumatising in gov–ernment hospitals. We came across women who were physically and mentally abused while delivering,” Malik said. In the slums lining Kurla, women, mostly Muslims, are choosing to deliver at home with the help of ayahs. Several claim they are poorly treated by government hospitals after the third or fourth baby. “These women were discontent with their first delivery. There are unnecessary medical interventions. Consent, for caesarean section deliveries or to use forceps, is hardly ever taken,” said Subarna Ghosh, who did a thesis on women and childbirth at the Research Centre for Women Studies in Mumbai. At KEM Hospital, the caesarean procedures account for 33 per cent of total deliveries, while the percentage touches 75 in private hospitals. Aloka Gambhir (35) had consulted an upscale South Mumbai hospital for her first delivery. Terming her experience as painful, she said the gynaecologist induced labour early because she had travel plans in subsequent weeks. “No consent was taken. I was not even aware. During my delivery, they used a vaccuum to pull the baby out. That whole experience troubled me, I felt this is a money-minting business,” Gambhir said. She came to know about a foreign midwife in Mumbai and asked her to assist in her second delivery. Her baby is now 20 months old. “Except for a few check-ups, I kept hospital contact minimum the second time,” she said. According to Dr Evita Fernandes, a Hyderabad-based obstetrician, it is a human rights concern if a woman is made to deliver in an environment that lacks compassion. “We need more professional midwives. I have trained 35 midwives in my centre and the demand for them is more than it is for a doctor by my patients,” she said. In Mumbai, BMC-run hospitals account for over 80,000 deliveries in a year. Admitting that government hospitals lack patient privacy and the patient-doctor gap is huge, Dr Padmaja Mavani, professor at KEM Hospital’s Department of Obstetrics, said, “We need to teach medical students about how to treat pregnant women and about consent before caesareans. Because there is always a huge crowd, paying attention to emotional needs of patients becomes almost impossible,” said Mavani. The lack of emotional support was what Shivani Sharma (38) felt. She conducts child birth classes for pregnant couples but after her first delivery in a hospital, she decided to undergo the procedure at home for her second child. “Delivering at home is a gentle experience,” she said, though adding that trained midwives have become a rarity now in the city. Sharma has herself come in contact with several pregnant women who want to opt for traditional means of delivery after undergoing a bad experience in institutional care.